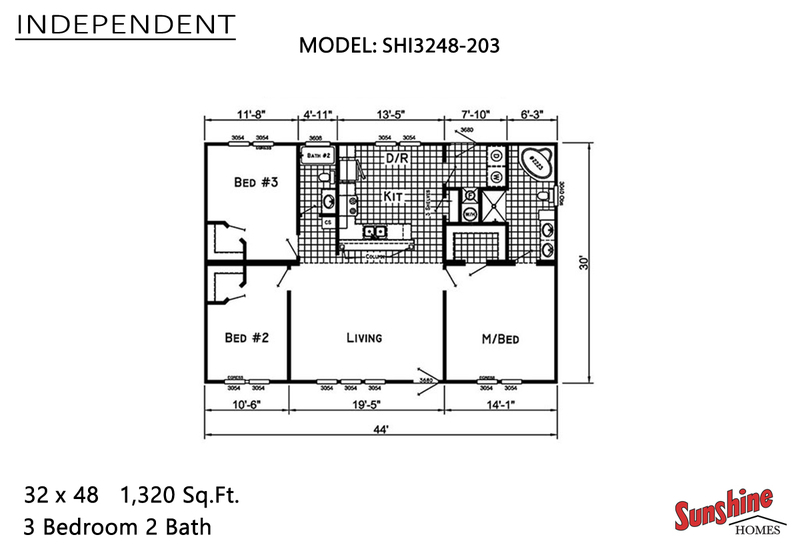 This model Independent SHI3248-203 is efficiently designed without wasted space. Walk-in closets in bedrooms #2 and #3. Spacious living room with column entry to efficient kitchen and dining room. Inviting private master bedroom with lots of wall space for preferred furniture arrangements and luxury bath.